NEW YORK – The ground-breaking gift of a senior Iranian cleric to the worldwide Baha’i community is beginning to stir a global conversation about religious co-existence and freedom of religion. More statements of support for the actions and words of Ayatollah Abdol-Hamid Masoumi-Tehrani have been issued in the United Kingdom and India, and other prominent individuals are offering comments in the Netherlands, Spain, and the United States. 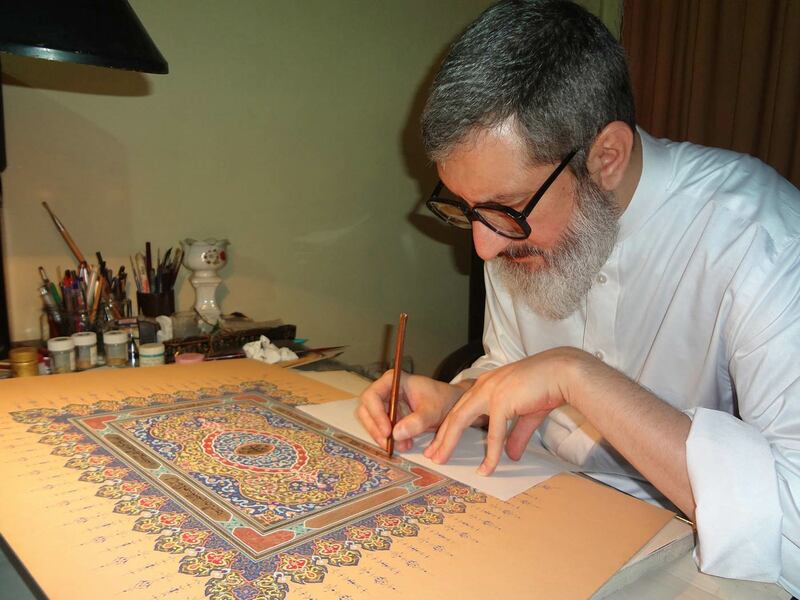 The response comes after Ayatollah Tehrani bravely gave to the Baha’is of the world a calligraphic rendering of Baha’i sacred verses, along with a plea for religious “co-existence”. Last week, religious leaders in India and Church of England clerics in the United Kingdom also issued statements of praise for Ayatollah Tehrani’s actions. BEIRUT (AP) — Iran delivered 30,000 tons of food supplies to Syria on Tuesday to help the government deal with shortages due to the civil war, state media said. Last May, Iran extended a $3.6 billion credit line to Syria, enabling Assad’s government to buy oil products and help shore up the diving value of the Syrian pound. Before the conflict started in March 2011, Syria produced most of the food needed to feed its 23 million inhabitants and even exported wheat. Over the past year, the country has experienced massive shortages because the fighting has been concentrated in opposition-held, rural areas around Syria’s major cities, including the capital, and along the border with Lebanon, where most of the agricultural land is located. In Rome, the U.N. World Food Program said Syria is facing a drought that will have “a major impact on the next cereal harvest.” With the rainy season ending in mid-May and the rainfall since September at the level of less than half the average, millions of lives could be at risk, the WFP said in a statement Tuesday. The agency is currently feeding 4.1 million inside Syria, WFP spokeswoman Bettina Luescher told the AP in New York. Funding shortfalls meant the WFP had to cut the number of calories in each food basket by 20 percent in March, and the agency projects the April baskets will be 16 percent below the optimum number of calories. She said it costs the WFP $40 million a week to feed Syrians and refugees from the civil war. The number of those in need of food assistance is likely to rise in the next months as the dry conditions, compounded with the impact of the civil war, will result in the breakdown of the agricultural sector, the WFP statement said. The U.N. agency estimated that the wheat production in Syria will be at 1.7 to 2 million tons this year — a record low. Syria’s wheat needs were at 5.1 million tons last year, the WFP said. According to WFP’s figures, the areas most affected by drought are in Syria’s northwest that account for half of the country’s wheat production. In addition to the lack of rainfall, the provinces of Aleppo, Idlib, Hassakeh as well as Raqqa and Deir el Zour in the northeast have seen some of the worst fighting in the past two years. “You can see why we needed to take Kasab,” said Dr Mahmoud, diplomacy envoy for the Islamic Front. This is because in Yemen (just as in Afghanistan or Pakistan) Al Qaeda fighters or those with almost identical attitude and methods are considered terrorists. Not however in Syria, where their existence and relevance is either denied or belittled. Thus, it is tolerated by the US, UK, France, Turkey and implicitly also by Israel that the Syrian Nusra Front is non other than the local branch of Al Qaeda and that most supposedly “moderate” rebel groups closely and regularly cooperate with the Nusra.